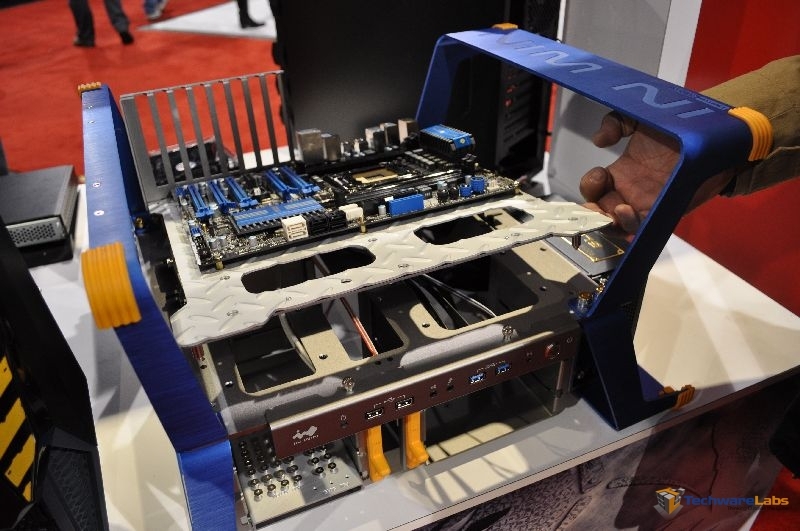 InWin, a case company who’s products we’ve reviewed before at TechwareLabs, had a booth setup at CES this year. 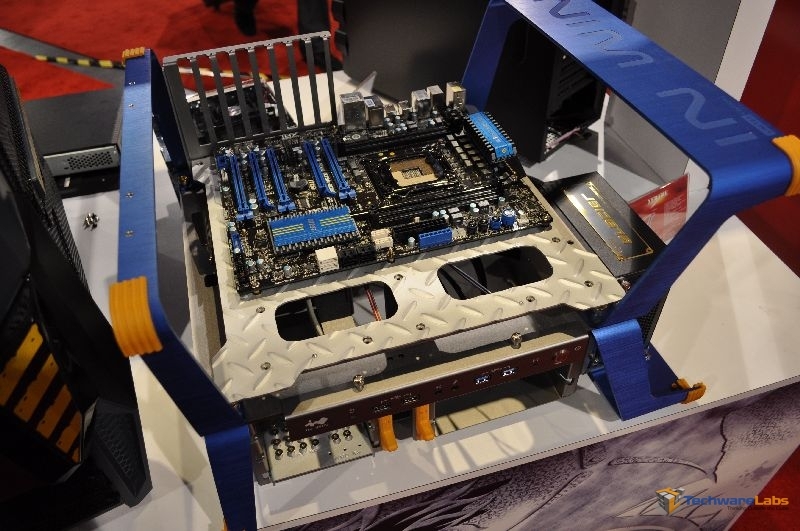 I decided to stop by, see what’s hanging, and get the scoop on what’s coming out from InWin in 2012. 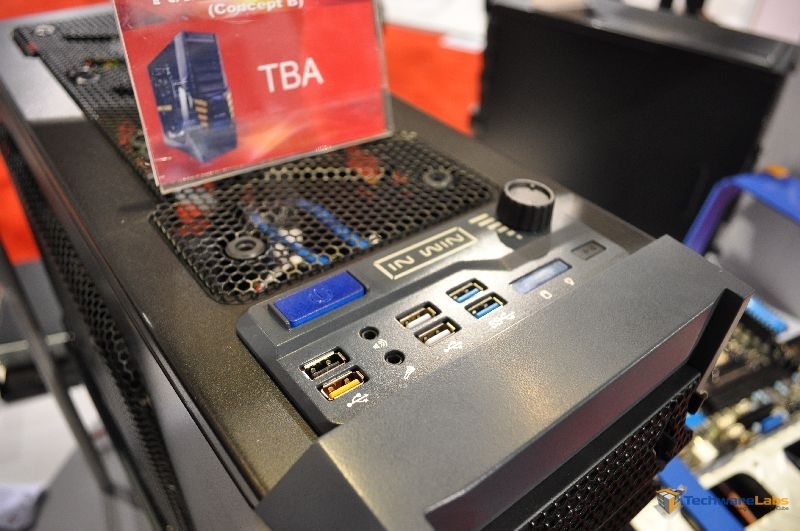 They had a new prototype case at their booth called the XFrame. 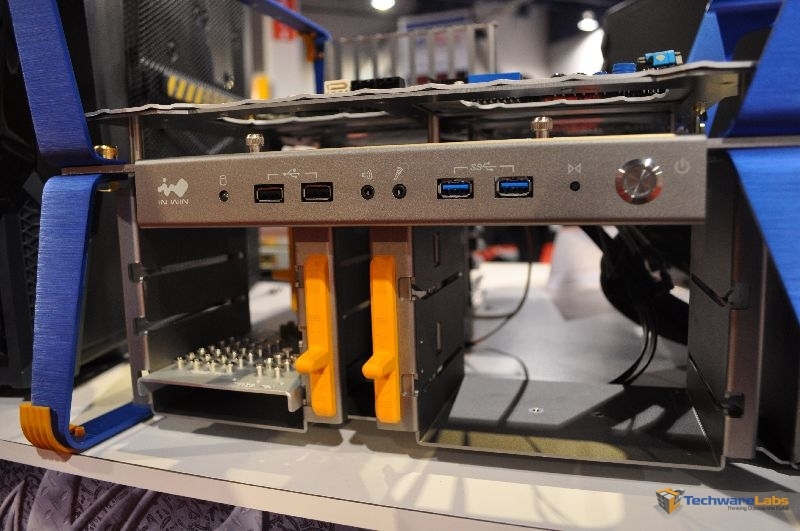 The case is an open air design that can hold up to 6 hard drives. I think it looks quite cool and it will be interesting to see if they put it into full production. Another two prototypes were on site as well. Below we have a stylish black case sporting USB 3.0 and a fan controller for the top fans. 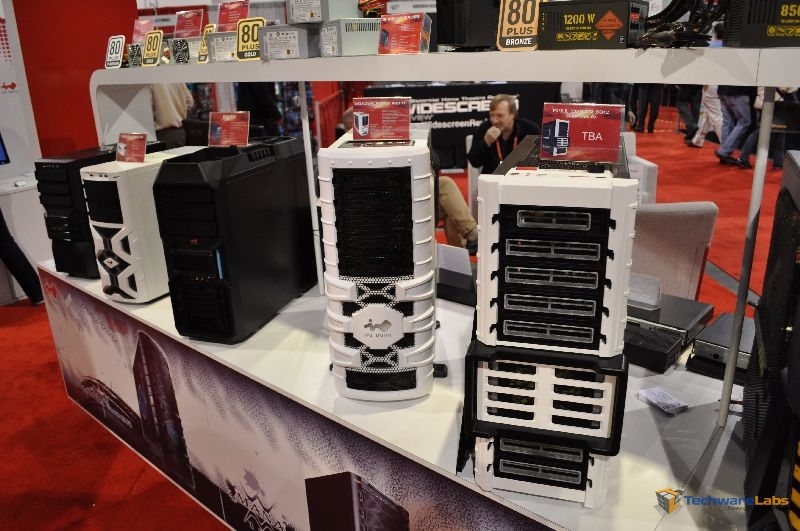 We can see their last prototype on the right, a white case, in a line up with their existing product line below. 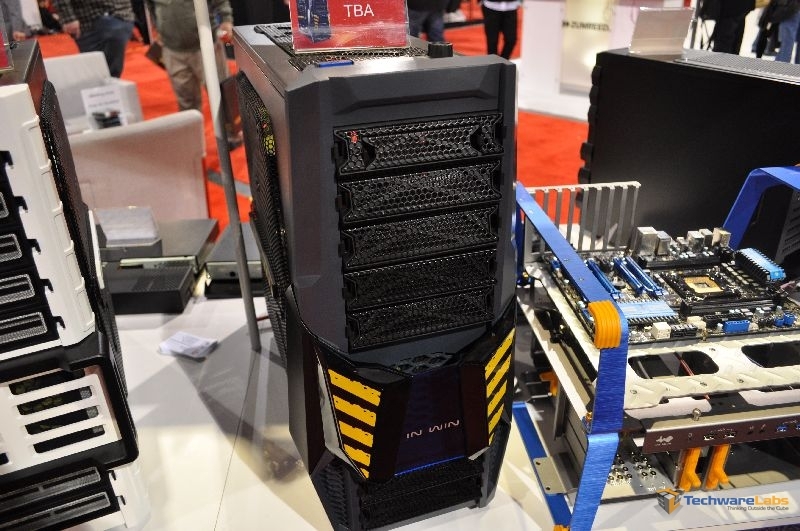 InWin looks to have an exciting lineup in store for 2012. I for one can’t wait to do an in depth analysis on these cases when they are released to consumers.